Craving even more ozfortress action before OZF 18? 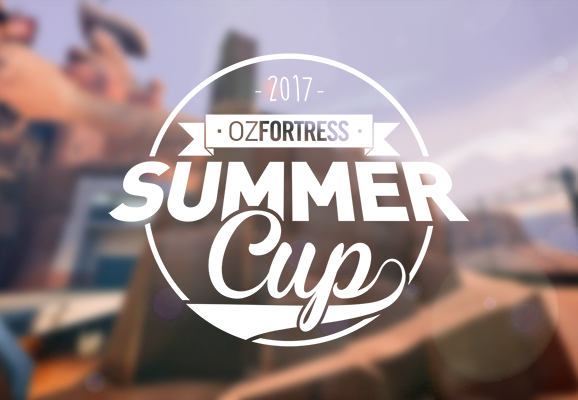 Well, after the success of the first of our holiday cup, we are happy to announce the second summer event - ozfortress: A Midsummer Night's Cup 2 2017, where once again teams will compete over a one-night cup in two or three brackets. Midsummer Night's Cup 2 will be held on the 15th of January and be sure to remember ozfortress will be running tournament(s) over every Summer so keep an eye out for this every November! The Cup is designed to be a casual laid-back event for over the Summer, especially after two seasons of the flagship league run back to back. Focusing on a relaxed experience, there will be three brackets - Premier, Intermediate and Open. Premier and Intermediate will have 8 teams while Open will have 16, signups permitting. All brackets will be a single elimination bracket, over a single night. Each match will be a best-of-one with maps being set, using a win-difference of 5 / 30 minutes format. King of the Hill maps are played to a first to three format. Ties are not allowed, and can be resolved by Golden Cap, which is first to 1 / 10 minutes. If no one caps last at the end of 10 minutes, the team that owns the middle point will be declared the winner. Maps for Midsummer Night Cup 2 will now feature a second new map to be played in rotation, cp_cardinal_b1a, and following with the first cup, the Grand Final of Premier and Intermediate brackets will be played over three maps using a pick-ban system with a slightly modified OZF 17 Map Pool. All other matches are played in a best of one format. Unfortunately, as these are One Night Cups, there will be NO badges for this Summer event. Since there are multiple brackets, all administrators will be separated into respective brackets like the seasonal league. League administrators and their respective brackets will be announced when signups end. Like previous seasons of the ozfortress seasonal league, along with the last cup, we will be using the highly successful league system - Citadel. In Citadel, Captains can create Teams using the "Start Team" button on the Teams page. Once created, Captains can invite a user to the Team. Team invites are shown on a user's profile, which can be accessed by clicking on your name next to the bell on the top right hand corner of your screen. Teams provide a bucket of players that can be signed up for a tournament. Players may be on multiple teams but only one Roster for any given tournament. Captains may sign up a Roster for tournaments under the League page. Thanks to our developer, map selection as described above has been implemented into Citadel. If you are using an existing team, you do not have to recreate your team again! Simply sign up your A Midsummer Night's Cup 2 2017 roster using your existing team. There are some ruleset differences between the Midsummer Night's Cups and the regular seasonal league. Be sure to have a read of the changes to make sure you are up to date. These have been outlined in the following posts and in the FAQ. If you're new and not sure how to get started, don't fret! Check out the recruitment section where you can find or form a team. Teams are normally comprised of 1 Medic, 1 Demoman, 2 Soldiers and 2 Scouts. However, the best way to learn the game is usually to just start playing. Whether you're a veteran or new to the scene, get on a team and come play! Yet again we are keen to get this information out for people to know about this - form your teams, and get ready to play some great TF2. Signups are open now, right up until Friday the 13th of January at 11:59 PM!